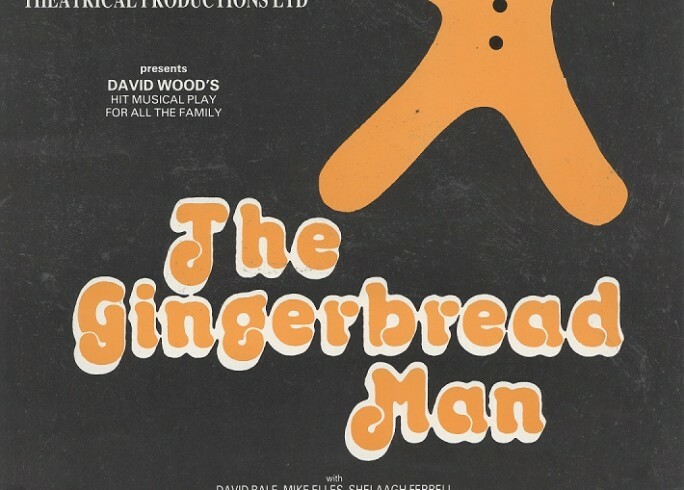 So far, we have stuck to the 1960s, a wonderful way of charting the Theatre’s beginnings and early productions. Liz Juniper, co-manager of the press cuttings projects says, “Doing the early press cuttings has been fascinating – not only bringing back memories of events and people of the early years but also reminding us about the struggles and hard work of the Evershed-Martins and all the volunteers who worked so tirelessly to raise funds and make the Theatre happen, the squabbles in Council and in the letters to the press about whether Chichester should have a theatre!”. 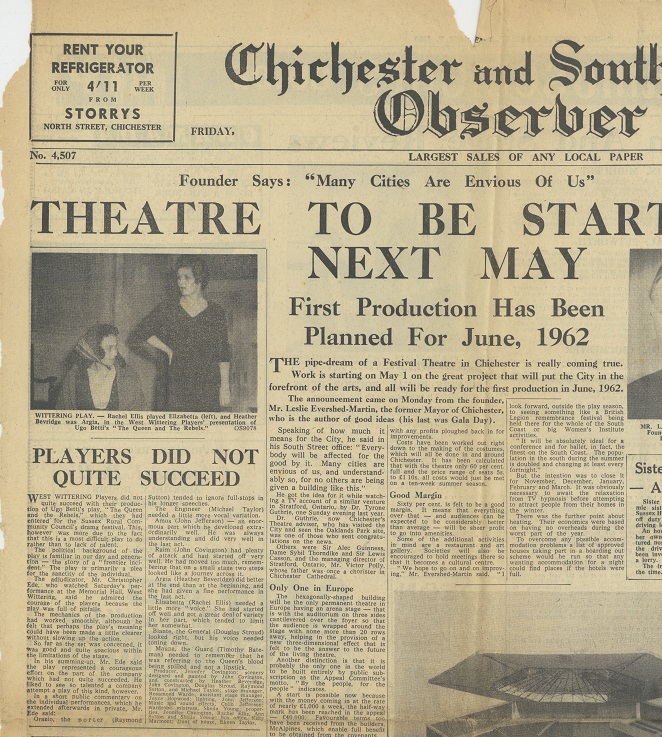 These cuttings revealed stories the volunteers and I were never aware of, such as Chichester District Council’s reluctance to back the Theatre due to a long, local campaign for a public swimming-pool taking precedence. This made me realise the odds that founder Leslie Evershed-Martin was fighting against, and really secured Chichester Festival Theatre in my mind as ‘The Impossible Theatre’. It was very enjoyable and interesting to see the changing language and writing styles over the years – headlines such as ‘Crisp and Gay in Chichester’ and ‘MINK AND MAGNIFICENSE’* are perfect examples of a bygone era, and spotting rude typos became a good game (the last I remember was a letter missing from the word ‘shirtless’ – I’ll leave you to decide which one). One particular session was filled with surprise when one of our volunteers came across her mother-in-law on the page of the paper she was working from. This familiar face was staring back at her from a front-page spread of the Chichester and Southern Observer, December 1962. 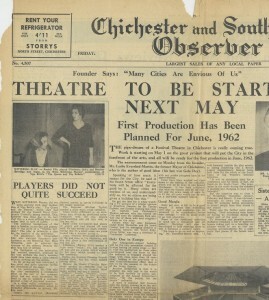 The article on the left, ‘PLAYERS DID NOT QUITE SUCCEED’ included a photograph of Janet’s mother-in-law and a (slightly harsh) review of the West Witterings Players production of ‘The Queen and The Rebels’ that she was starring in at the time. We scanned this cutting in, and now Janet has a copy she can share with her friends and family for years to come. It just goes to show the relevance of our archive (and the digitisation process) not just in a wider context, but for the local community, too. 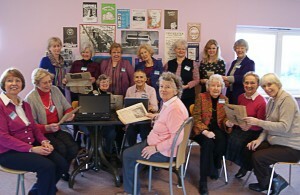 Since starting, our NADFAS ladies have listed over 700 press cuttings, working in pairs of established friends, or making new ones. They are taking a well-deserved break, and will continue their hard work this September.